Supply chain management is a key growth area and demand is increasing for supply chain executives across manufacturing, service, and retail businesses. This is a specialist, part time, advanced post-experience education programme for ambitious professionals in business and industry that offers a global perspective on the current issues in supply chain and logistics management. 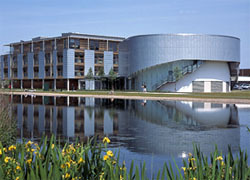 Nottingham University Business School boasts one of the largest groups of operations management experts in the UK and is an international leader in logistics and supply chain management research. 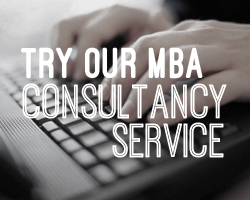 We have combined this expertise with our experience in educating and training senior managers to create a unique programme that allows you to continue your career while studying at your own pace. Fully accredited by both the Chartered Institute of Purchasing and Supply (CIPS) and the Chartered Institute of Logistics and Transportation (CILT) as meeting the academic requirements for full membership, our Executive MSc programme has been developed in partnership with the Supply Chain Planning and Control Function at Rolls-Royce plc. Offered in self-contained, one-week modules to accommodate busy lifestyles and minimise interruption and disruption to work. You can complete the programme in just over two years or, alternatively, spread your study over three to four years to fit in with your other commitments. There is no 'set' starting date - you can join the programme at various times during the year. An ideal opportunity to expand your professional network and knowledge of other sectors. 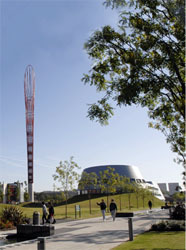 Nottingham's ideal location and excellent transport links allow managers located anywhere in the UK or overseas to participate. For more information about Executive MSc in Global Supply Chain Management, please submit an information request below and the school will contact you with further information. To apply, you must normally have at least two years of business experience and a relevant first degree or equivalent professional qualification. It is advisable that your experience comes from the fields of engineering, science or business. 2007 European Masters in Management ranking. career management skills and explore your career options. will be in an excellent position to promote yourself to recruiters. Course fees for the Executive MSc in Global Supply Chain Management are £15,600 for UK/EU and Overseas applicants. Fill out your details to find out more about Executive MSc in Global Supply Chain Management.